Chances are you’re going to be heading into town tomorrow to pick up a last minute Mothers day gift, hey, don’t feel bad, we’ve all been there! Mothers day just seems to creep up out of nowhere and suddenly you’re queuing to get into Pandora, fighting over the last bunch of Tulips and spending half an hour in Thorntons wondering if Mum will prefer the milk collection or the dark. My mum prefers their fudge selection if you must know. With all of that in mind, may I present to you my one idea for a last minute Mothers Day gift that is sure to put a smile on her face. Stackers. How often do you buy your Mum something shiny and sparkly for Mothers day? Christmas? Her birthday? Is her jewellery collection rapidly expanding as the grandkids start to buy her sentimental charm bracelet beads that she can’t possible wear all at once as much as she wishes she could? Stackers has the answer. 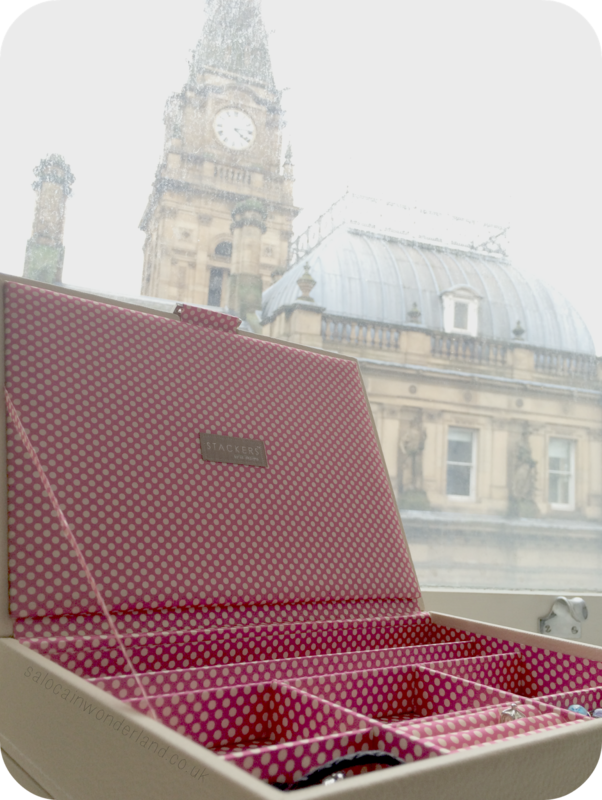 For the ever growing, size varying jewellery collection, only an expandable, customisable, personable jewellery box will do. 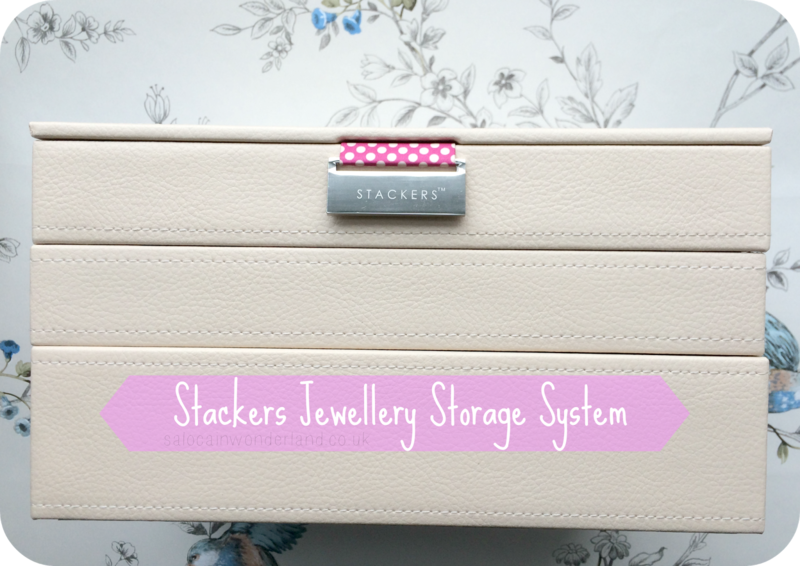 Stackers allows you to build your jewellery box from the ground up, picking compartments that suit the need of the user perfectly. Take mine for example. Mr bought me a Stackers collection for Christmas and, knowing I had lots of earrings, glasses and no safe place to keep my charm bracelets, he chose the right compartments to house my small shiny collection. On the bottom I have my glasses stored all neat and safe in these three deep wells. 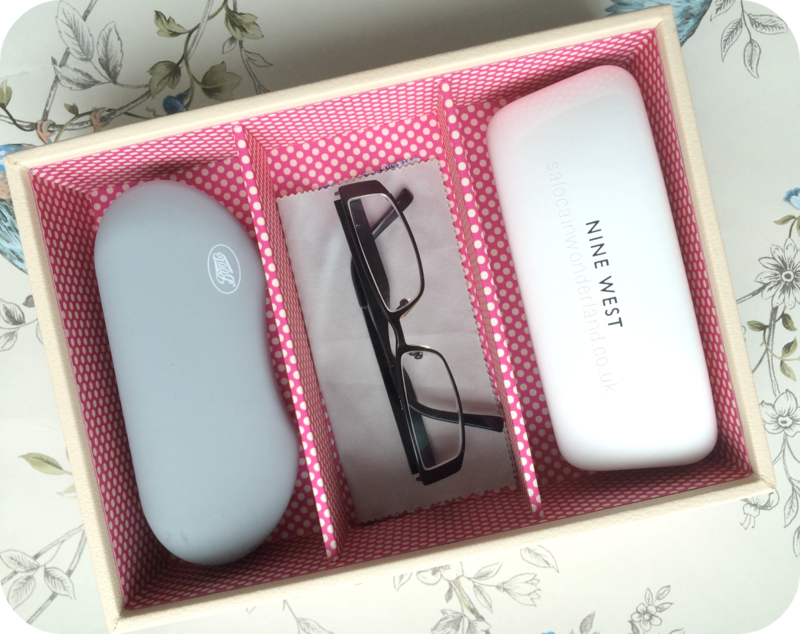 These are also perfect for larger pieces, i.e bangles or watches, as well as pieces that you want to keep in their boxes. Up a level and we come to the earrings! I love studs, they’re the only earrings I wear, but I’m forever loosing one or a back. This middle section is split into 25 individual sections so each pair of earrings not only has it’s own home, but I can see them all clearly and it makes picking a pair out so much quicker and easier! The top section also includes the lid to complete the finished look. Inside, there’s two long slimline sections for necklaces and 5 square spaces, perfect for wrap bracelets or those with a little less rigidity to them. To finish it off, there’s a cushioned ring section that could easily fit 8-12 rings depending on your size and style. There are multiple colour combinations to choose from so you’re easily going to find one that matches your Mums dresser and taste, and varying sizes too for the bigger or small collections. I adore the travel Stackers, perfect if you’re Mum likes to take her jewellery away on holiday! They also have additional pieces like bars you can fit to display excess charms from charm bracelets, or you can purchase a Stackers system that’s for nothing but charms! I know my Mum could do with that particular system! 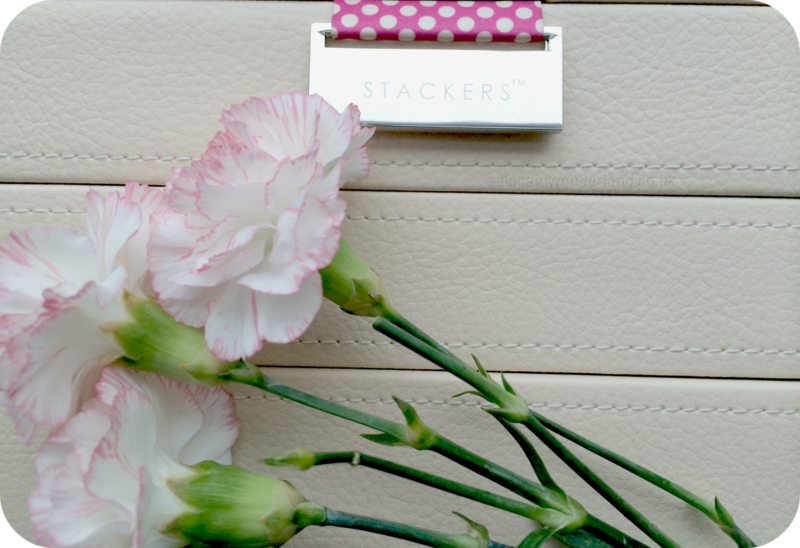 You can purchase Stackers from John Lewis - they sell them in-store so you won't have to worry about it not arriving in time for Mothers Day! Check them out online here first! What will you be buying your Mum this Mothers Day? I love them! I have such a problem with my jewellery. I have one of those things that you hang on your wardrobe with pockets in, but too much stuff it's all tangled and shoved in the pockets. It's kind of embarrassing. I have a hanging organiser too but I just keep my costume/Primark pieces in there. The pockets are so tight it's hard to get anything in though! 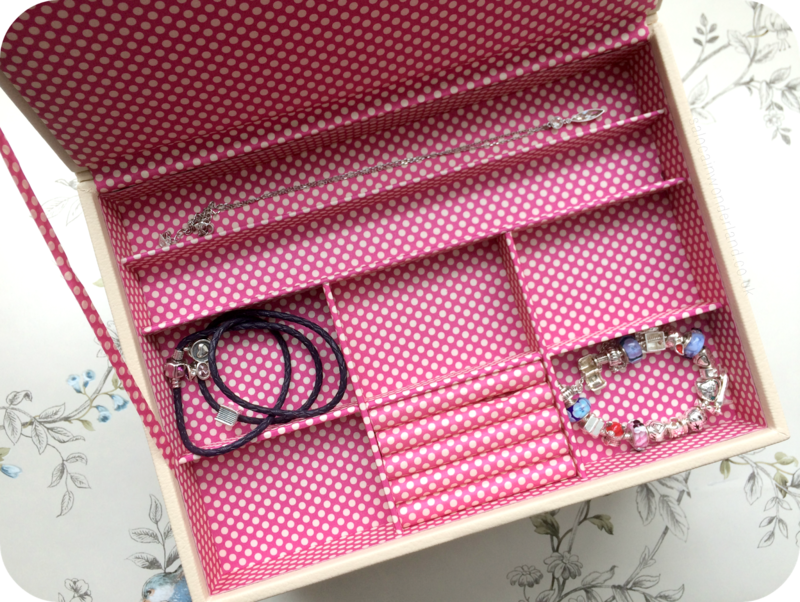 I love having the jewellery box to keep my more precious pieces in! I've still got a box I need to go through from when we moved, no idea what's hiding in there! They're brilliant aren't they? So many colours and sizes to choose from too and you can build up as many layers as you'd like as your collection grows! I'd say treat yourself! That's great, and as your collection grows you can buy additional Stackers! If you have a sec, I'd love for you to see my latest post. 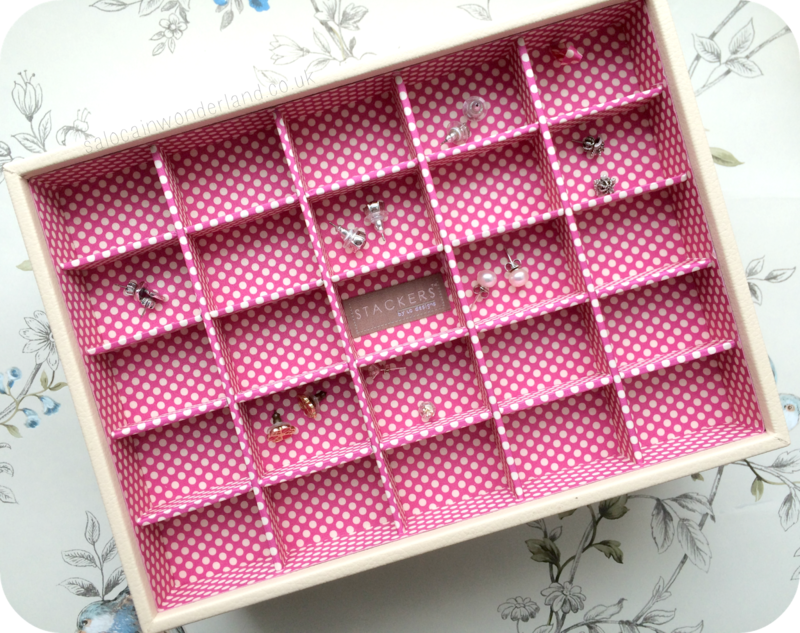 It's certainly helped to keep my jewellery organised! 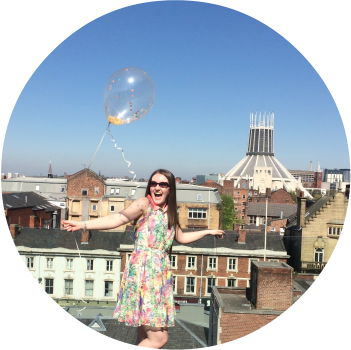 Thanks for the lovely post Sarah! We're on Facebook now for anyone who wants to keep up to date with the latest Stackers developments! Thanks! I'll be sure to give you guys a follow!